Have you ever thought of looking for a way to get a complete body workout without going to the gym? Try Ballroom dancing. Did you know you can burn 360 calories in just 1 hour of dancing at 125 lbs and 450 calories at 155 lbs? That is a lot of calories! Not only is learning to dance good for your body, but it is good for your mind. It teaches confidence and is a lot of fun! 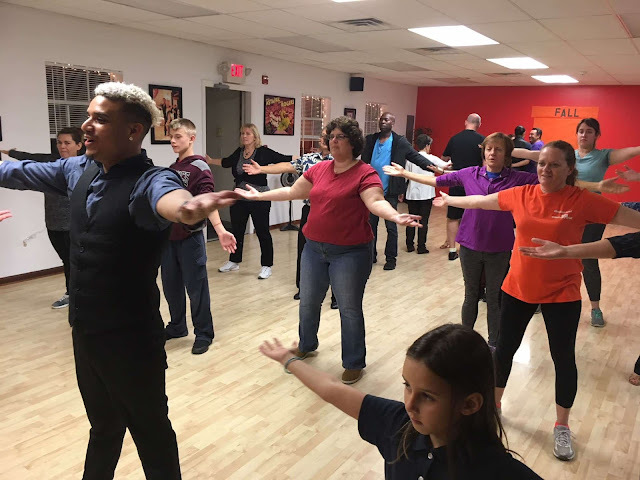 USA Ballroom is a more fun alternative to exercise Their studio is based in Red Bank, NJ and they teach both Latin and Ballroom dancing. They will teach you how to find the beat in music and how to move to the rhythm of those beats while communicating with your partner's body movements. I often admired watching ballroom type dancing shows and competitions on television. I can remember as a little girl wanting to tap dance down a flight of stairs like Shirley Temple. Dancing has always been something I have loved. At USA Ballroom you can learn dances like the Salsa, Tango, Rumba, Cha Cha and more. Whether you are taking lessons for an upcoming special occasion, or just want to learn dancing for the fun or exercise of it, there are many different classes to choose from. Have you ever dreamed of doing the Hustle or Waltzing across a dance floor in grand style? You can learn so many different types of dances at the USA Ballroom. They will have you up and Swinging to the beat no matter what song is playing. I wouldn't want to be the person at the wedding who is sitting and watching everyone on the dance floor. There is too much fun going on. Taking a few lessons can help to improve your skills and confidence and get you out on the dance floor. You can choose to either take private or group lessons at USA Ballroom. They even have Friday night socials. It is a good way to get to know others who love to dance and make new friends. The studio is open Monday thru Friday from noon to 9 pm and on Saturday by appointment. 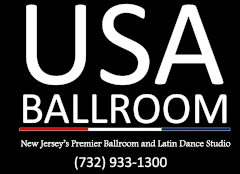 If you live in or near the Red Bank, New Jersey area, visit USA Ballroom and get dancing! Mall walking: Right now is the perfect time to go mall walking because everyone is running Christmas sales! Do a few (or more) laps around the mall and burn some calories while killing two birds with one stone by getting your Christmas shopping in, as well. Yippee! Pool party: I know this sounds funny, but just think about it - having a pool party really gets you moving! Not only will you be running around getting ready and then running around serving your guests, but you will also be swimming which is an amazing workout! Plus, if you have bad joints, swimming is very good for you. Join a sports team: Playing something like recreational softball or soccer is a great way to get exercise in without actually thinking about it. I've always wanted to be able to dance like that. I've never tried lessons but I bet it would be good exercise, too. Good exercise and fun too!